Idris Watts has been teaching languages for the last seventeen years. He accepted Islam in 1998 whilst studying Arabic Studies at Leeds University. He graduated from the University of Leeds in 2002 with First Class Honours as well as an award of excellence for his language skills. He then moved to Morocco residing in the ancient city of Fez, where he immersed himself in its language, culture and knowledge for the next seven years attending classes at the oldest university in the world, the Qarawiyin, studying various disciplines in Islamic subjects alongside teaching the English language to foreigners. When he returned to England in 2007, he immediately started teaching Arabic. He began teaching the language from the standard textbooks available, but he soon realized that students studying Arabic part time had specific needs which the textbooks on the market did not cater for. He began writing his own material to suit those needs, but again after the first three years of teaching, he began to notice that for a student to really succeed they needed a clear specific goal that would lead to something that the student would access regularly throughout the course and afterwards. He believed that for most Muslims studying Arabic part time, their goal was to access and understand the Quran and that any course should focus solely on achieving that goal. He was also passionate about highlighting the role the language had within the Quran to allude to its miraculous nature and what the reader was missing out on by not being able to access the language. 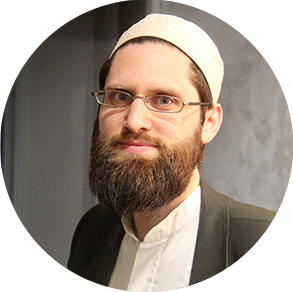 Over the last three years, this has been Idris’ mission: to connect the student of the Arabic language to the linguistic miracle of the Quran in order that they feel a closer emotional and spiritual connection to God’s word. He sees teaching as a service for the student. Therefore, every year he takes on board the feedback of his students and revises, improves and adds to the material and services in order that the course can best suit their needs and make the learning process as easy, interesting and engaging as possible.